Our human senses are truly the most amazing gift of life. Having the ability to see, hear, taste, touch and smell is beyond putting into words, so as humans, we simply enjoy these tools to perceive the world around us. Our sense of smell, also known as our olfactory system, is the oldest sense according to the evolutionary history of life. It’s been studied that even the oldest primal organisms developed a sense of smell long before other senses. Smell is absolutely vital for survival, as this sense helps humans and animals become alert to our surroundings and is heavily linked to parts of our brain that process emotion and memory, while also communicating with other areas. With the many imbalances that can manifest in our mind, body and spirit, why not give the healing gift of aromatherapy to a loved one? This is where essential oils come in (and a very thoughtful gift, at that!). These plant essences have the strength to invigorate, soothe, balance and offer benefits for one’s health. This hybrid mint has quite the punch! Peppermint embodies a fresh and powerful aroma. For soothing digestive discomfort, simply add 1 drop of peppermint essential oil to your tea or water after a meal. Peppermint’s carminative properties help to provide temporary relief. For tension, rubbing 1 drop (diluted in a carrier oil) on the temples, forehead or under the nostrils can help. Inhaling peppermint will invigorate your senses, offering you a potent pick-me-up from fatigue. In skin care, peppermint oil offers soothing and balancing properties to the skin. Try our Rosemary Peppermint Body Wash for your face and body to promote a cleaner complexion. This flowering purple beauty is one of the most versatile plants in nature. Lavender offers a range of benefits for the skin. Use a few drops of lavender essential oil in a carrier massage oil of your choice (or experience our Coconut Body Oil which includes the perfect blend of lavender). The aromatherapeutic effects will help to ease tension from your day. Alternatively, lavender essential oil can be used in a diffuser to create the ultimate aromatherapy experience in the home or bedroom. 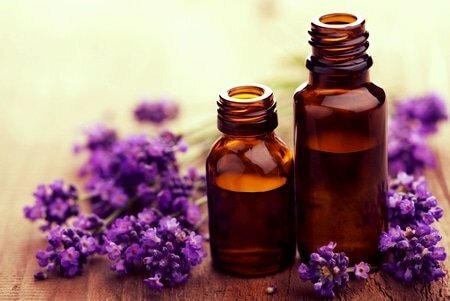 Lavender blends well with other essential oils such as: pine, clary sage, geranium and cedarwood. Inhale, exhale! Dab a little drop or two of oil onto your pillow case or eye pillow at bedtime the promote restful sleep. Rosemary is a woodsy and medicinally aromatic evergreen plant. Often used in cooking, the essential oil extracted from this bush also has a variety of internal and external uses. Add a few drops of rosemary essential oil to your shampoo, conditioner, rinse or carrier oil and gently massage into your scalp to maintain optimal scalp health. For oral care, rosemary EO may be added to a homemade mouthwash made with water, baking soda or hydrogen peroxide. Swish and gargle mouth-friendly rosemary! Rosemary EO may be added to carrier oils for the skin on the face or body. The cleansing properties help with sensitive and oily skin. Inhalation of rosemary essential oil helps to promote a relaxed feeling. This exotic flower is extracted in the form of an absolute or essence. It holds a beautiful and sensual aroma, so this oil would be quite the romantic gift for your partner! When you're feeling the blues, use 3-5 drops of jasmine essential oil in a diffuser or 8-10 drops in a warm bath. For a more sensual experience, a few drops of jasmine may be added to a carrier massage oil. The alluring aroma of jasmine will be sure to heighten passion within! For skin care, jasmine oil (diluted) serves as a tonic for most skin types, giving a tighter, firmer appearance. Our Anti Aging Serum includes jasmine and will leave your skin hydrated and glowing with longterm use. Jasmine blends lovely with sandalwood and ylang ylang. *Due to jasmine’s emmenagogue properties, it is advised to not use this absolute/essence without dilution. Consult with your doctor or midwife before using jasmine during pregnancy. Frankincense is healing on an emotional and spiritual level. This oil is extracted from a resin obtained from Boswellia sacra tree. It has been used in religious ceremonies for thousands of years and is revered as a holy and sacred oil. To calm nervous energy, a drop of frankincense oil does wonder rubbed into the bottom of your feet. Frankincense contains cleansing properties, making it ideal for enhancing oral health and toning the skin. This essential oil may be added to a carrier oil of your choice. Frankincense also encourages deep breathing and relaxation, making it excellent for reducing moments of stress. Try our Anti Aging Facial Oil to receive the wonderful benefits of frankincense! Essential oils are just that—essential! Essential for overall mind, body and spiritual well-being. Enjoy the multifaceted properties of plant essences to enliven your soul and awaken your senses. Give the gift of aromatherapy this season, to a friend, a lover or yourself! Our favorite source for essential oils is our own essential oil blends and Mountain Rose Herbs. They are top quality with the heart to match. We really love this company. Did you know we use many of their herbs to make Annmarie Skin Care products?! Check our their line of herbs, essentials and more here. What are your favorite essential oils and how do you use them? Tell us in the comments below!